Whether structural or purely aesthetic, columns are virtually timeless architectural elements. Nearly every Western civilization has used columns to indicate the significance of a particular building. Greeks, Romans, British, French and Americans all use columns to great effect in their state buildings and courthouses. Partly, this is due to columns’ architectural function: they can support massive, open spaces. However, with the emergence of post-modern architecture, columns no longer need to serve any architectural purpose and can exist purely aesthetically as a marker of significance and grandeur. Whether you need your columns to be structural or just for looks and whether you need them for interior or exterior use, Stromberg is your source for timeless GFRC columns. 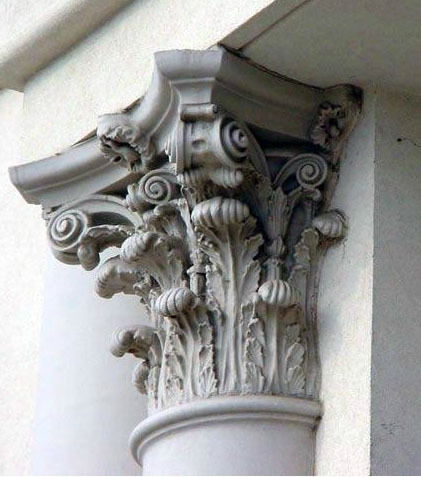 There is no disputing the aesthetic value of classic columns; they have been used for thousands of years and they will likely be used for thousands more. Both structurally and aesthetically critical, history’s great architectural feats from the Parthenon to Versailles would not exist without their awe inspiring columns. However, beautiful columns have historically only been available to the very rich and very influential. This is because columns used to take years to properly construct. Stromberg Architectural Products has refined dozens of improvements to the efficiency of column construction, making them one of the biggest manufacturers of GFRC columns in the world. As a result, magnificent columns are more affordable than ever before. Whether you are looking to purchase columns for a five star hotel or a small family restaurant, you can rest assured that our artisans don’t compromise on anything in order to bring you the finest GFRC columns on the market. Just like the architecture of antiquity, GFRC columns are built to last. Whether they are structurally load bearing or just decorative, your GFRC columns from Stromberg will stand for generations. Whether they are installed inside or outside, our GFRC columns can endure the most violent weather and are resistant to water damage. Furthermore, they will not rot, rust or delaminate over time. So no matter what hardship your building suffers, GFRC columns from Stromberg Architectural Products will remain standing. Not only that, GFRC is actually better suited for our modern times. Glass fiber reinforced concrete is extremely light and can be used to create columns that are either structurally load bearing, or merely decorative. Moreover, GFRC columns require very little in the way of maintenance and they are easy to clean and repair if they are damaged or vandalized. Benefits of Architectural Fiberglass: Why Stromberg GFRC? GFRC is light-weight, low-maintenance and highly durable. GFRC is affordable and versatile; it can emulate more expensive building materials like marble, gold and granite. Glass fiber reinforced concrete is extremely durable and easy to maintain. Stromberg GFRC will not rot, corrode or delaminate over time. GFRC does not require specialists or experts, such as masons, to install. The artisans at Stromberg Architectural Products will work closely with you throughout the process to make sure your finished GFRC columns are made perfectly to your specifications.